Thanks to advancement in technology, we are now able to listen to our favorite music anywhere we go. Whether you are on a cruise sheep, fishing boat or a pontoon boat, you can always enjoy music using the ingeniously designed brands of marine tower speakers. Designed specifically for marine expeditions like boat riding, these speakers are waterproof and crafted to withstand the harshest conditions in the sea. What’s more, they are built to optimally perform even in salty water. Unlike other speakers, marine tower speakers can blast ample music that you can comfortably hear even while streaking through the roughest waves. If you have a passion for riding your boat out to swim as you listen to serene music, these robust speakers surely bring your dreams to reality. Even so, they come in a wide range of brands. 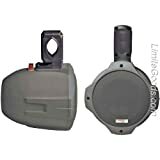 If you are in the market for a marine tower speaker, this article will give you an insight on the best machines to fix on your boat through an in-depth review of top 15 best marine tower speakers. 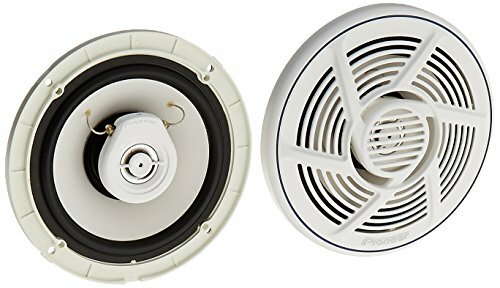 There are three main types of marine tower speakers. They include coaxial marine speakers, where you can fix different drivers on one single axis. You can easily identify them with a cone woofer as one of the components. Another type is the component speaker. This speaker comprises three different inputs i.e. the driver, woofer and a tweeter that has been customized to meet specific acoustics of a given boat. The third type is the wake-board tower speaker that can be mounted on any rod, clamps or rail in a boat. That said, here are some features of a speaker that you should check on while looking for a marine tower speaker. They include audio quality, durability, ease of installation and finally value for money. Even though this marine speaker takes the 15th position in our list, do not be duped into believing that this speaker is of any lesser quality. 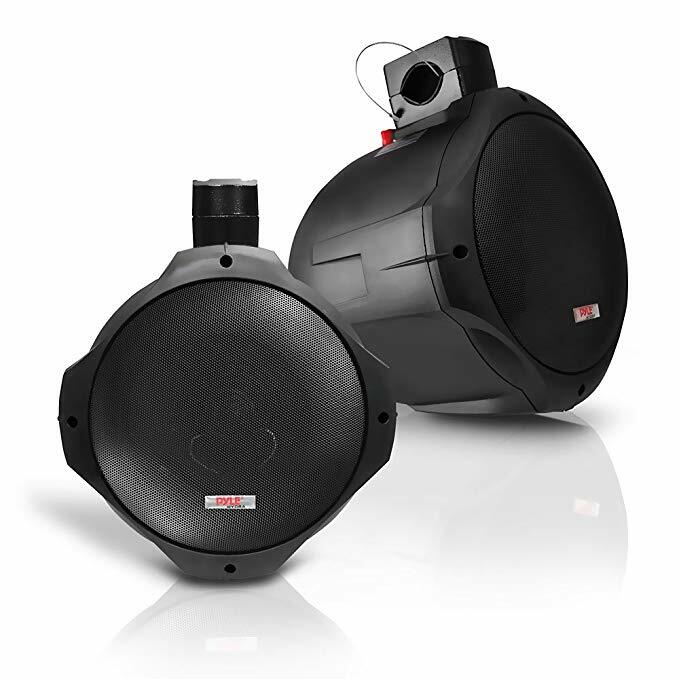 To start off, the JBL has been in the marine speaker industry for quite a while now. It’s for this reason that you can believe in the quality of their products. 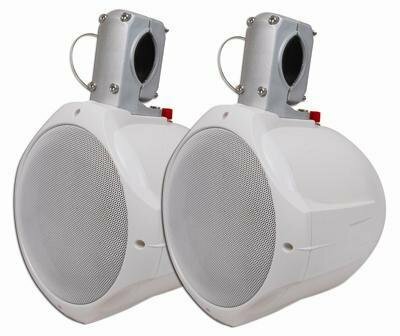 Down to this speaker, the MS6520 marine speaker has a specialized UV protection coat that ensures that the speaker remains quality. This is the biggest feature that comes with this marine speaker. 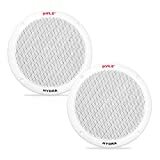 This speaker is generally white and simply created with a fore grille. If you are looking for something simple with quality audio, the MR60W marine speaker is the best choice for you. 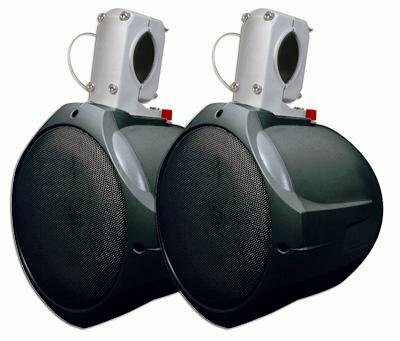 To top it all, this speaker is quite portable, durable and quite light compared to other marine speakers. This is one of the oldest marine tower speakers in the market today. That is not to say that this speaker is quite durable and produce high-quality audio. It comes packed with 6.5” cone woofer and a tweeter to guarantee quality audio from frequencies produced. Different parts of the speaker are laced with gold making it durable and of high quality. It’s a speaker that will not let you down once you grab one for yourself. 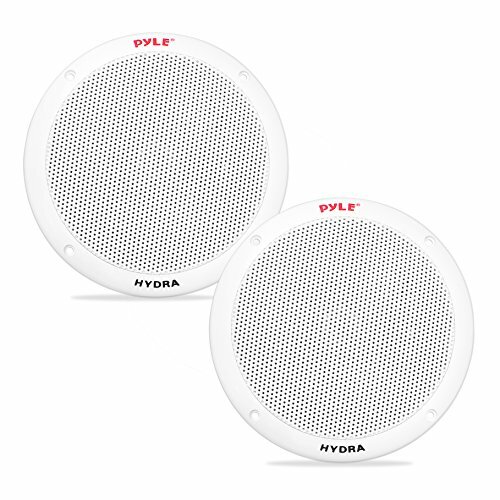 Products from Pyle have been known to be of high quality and so are the PLMR605W Dual 6.5” marine tower speakers. Apart from incredibly high-quality audio, this marine speaker is designed in uncomplicated nature thus becoming quite portable. It is highly durable with a rubber surround to ensure that the twin speakers remain secure and durable. Additionally, these speakers are darned with a tweeter that is 0.5” that relays high frequencies that translate high-quality audio. 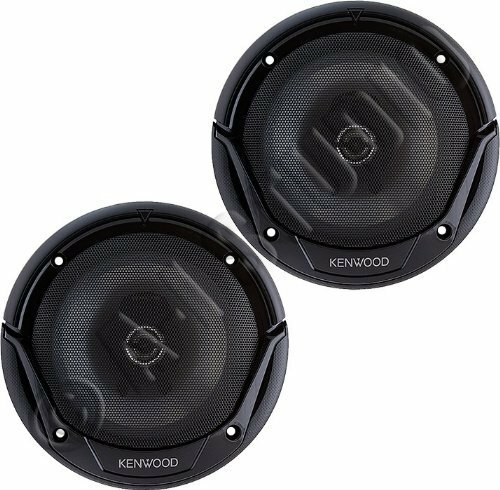 Kenwood is known for producing quality and durable speakers for cars. However, the company has delved into the marine tower speakers with the Ken KFC 1665S. 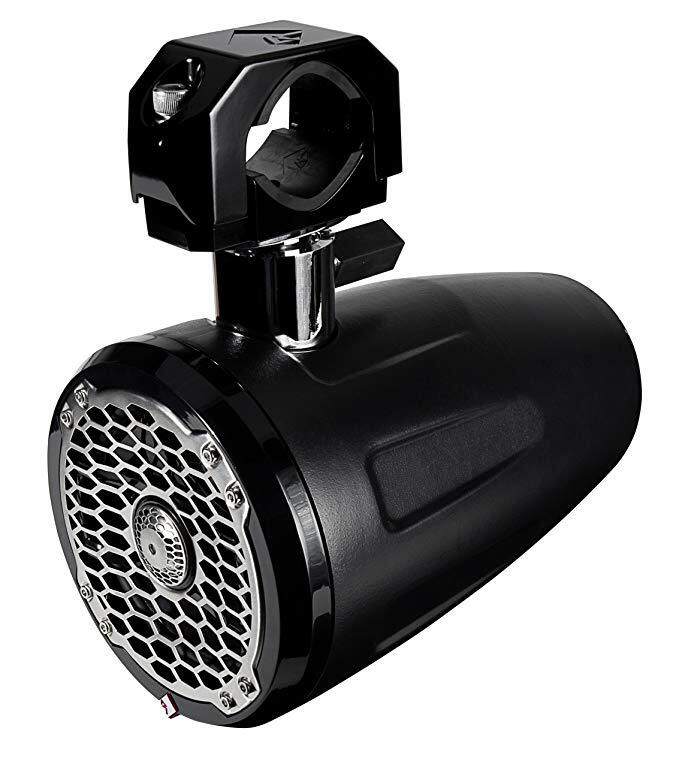 Even though they produce 300-Watts, the speakers are not appropriate for outdoor access. Its however ideal for boats with cabins and are able to produce surround music that is of high quality. If you are an ardent fan of outdoor marine activity, then this is the perfect go-to marine tower speaker. Apart from the quality of audio that the speaker is known to blast, this masterpiece has been crafted with an extra layer of coating to proof it from any form of damage, whether it’s terrible weather, saline water or even a hard knock. The different layers added on this speaker are made of high-density polyethylene to guarantee you durability. Coming at #9 is the low profiled Rockville RWB65B pair, which has a shallow depth and can be used in a number of ways. Even so, this formidable marine tower speaker comes with a unique mounting screw that enables you to fix it in a number of different bars with ease. Additionally, it has been built to be waterproof and can be conveniently used on fresh or salty water. To enhance durability, this trendy speaker has reinforced adjustable nylon that is specifically used for mounting. To top it all, the speaker comes fitted with 1” polyamide neodymium tweeter that is used to enhance the quality of audio as you cruise through marine environs. 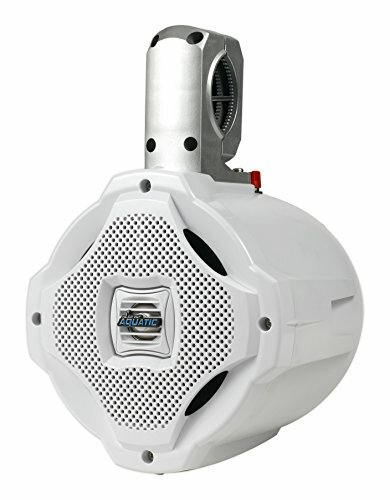 This is another marine tower speaker that is a force to be reckoned with in the wakeboard tower speaker’s arena. First of all, this speaker like most of its competitors is waterproof. However, what makes it stand out is the fact that it is marine rated with an IP44 Marine Grade. As if that’s not enough, this speaker guarantees quality with a UV protection in place and double coating on its surface to protect against any form of damage. With this robust speaker, you will be guaranteed quality and durability. Unlike many other speakers in this category, this speaker has been built to offer excellent audio and durability. It is the perfect match for anyone in the market looking for a marine tower speaker that has been reinforced with layers of rubber and polypropylene materials to guarantee endurance during harsh weather and stability. 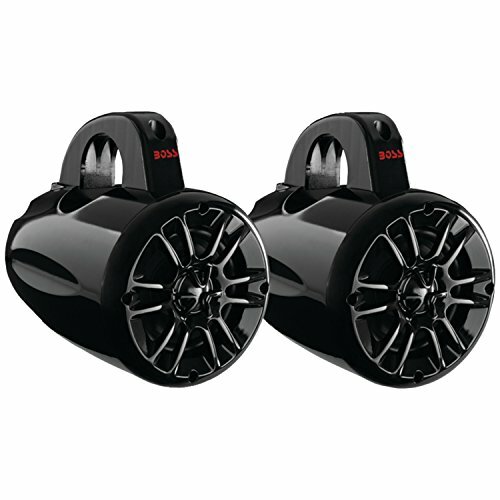 What’s more, this speaker is much lighter but even more, it can be able to handle up to 100 watts of RMS. The tweeters in the speaker are also uniquely built with titanium, which tells you that will be able to blast out quality audio. 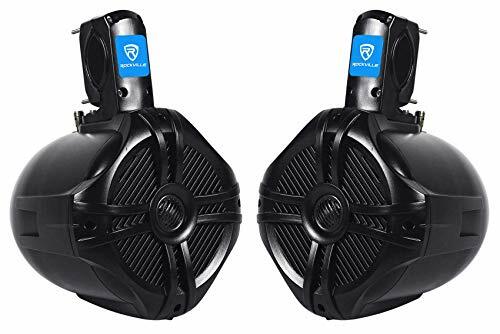 If you are in the market for a pair of speakers that are mighty in terms of sound quality and durability, then the Marine-Grade 6.5 wakeboard marine tower speaker is just what you are looking for. 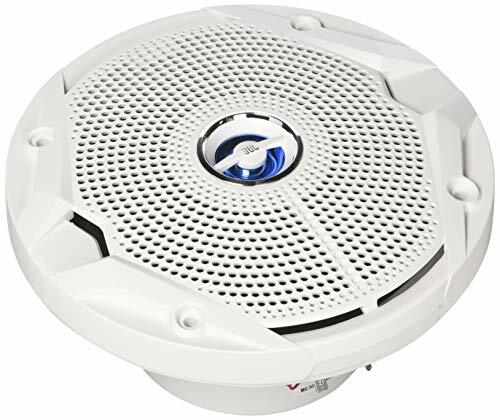 It comes with features such as butyl surround, 500 watts capability and 4- ohm. Additionally, this speaker comes with a mounting hook and an incredible heavy duty plastic cabinet. 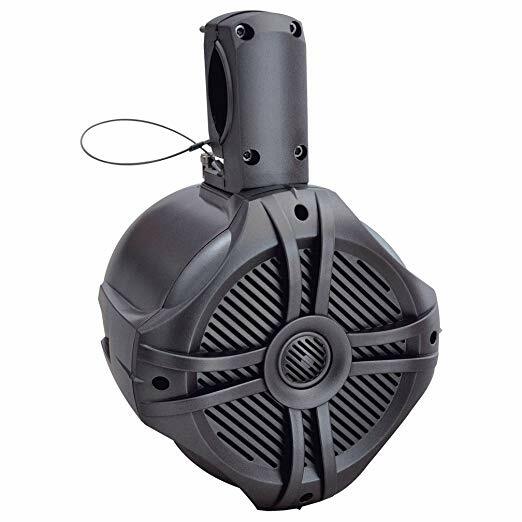 Like many other marine tower speakers, this speaker is waterproof. However, it comes with a poly mica woofer that is 6.5-inch. To top it all, this speaker comes with a reinforced stainless steel cable that has been braided to guarantee durability. 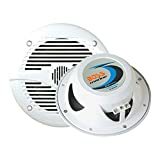 As mentioned above, the durability and quality of a marine tower speaker are some of the most important features to check while choosing your speaker. These two features best describe the MTX motorsports Borvkit1 wakeboard tower speakers. Different components such as the ZN1K-10 amplifier which consist of fuse holders, a fuse, and different wires are made of high-quality materials. With the amplifier in place, you can conveniently connect your onboard locomotive system to the speaker. Unlike other competitors in the market, the Boss audio speakers are designed to be more versatile and compact. They are much smaller compared to other much bigger speakers on this list. Even so, they still pack an incredibly powerful punch in delivering quality audio. Additionally, unlike other speakers with paper cone speakers, the boss audio speaker comes with a Mylar tweeter which is stronger and durable. Needless to say, if you are looking with for a portable yet durable speaker with quality audio, this is the speaker to go for. On the second position is a masterpiece in the wider marine tower speakers. 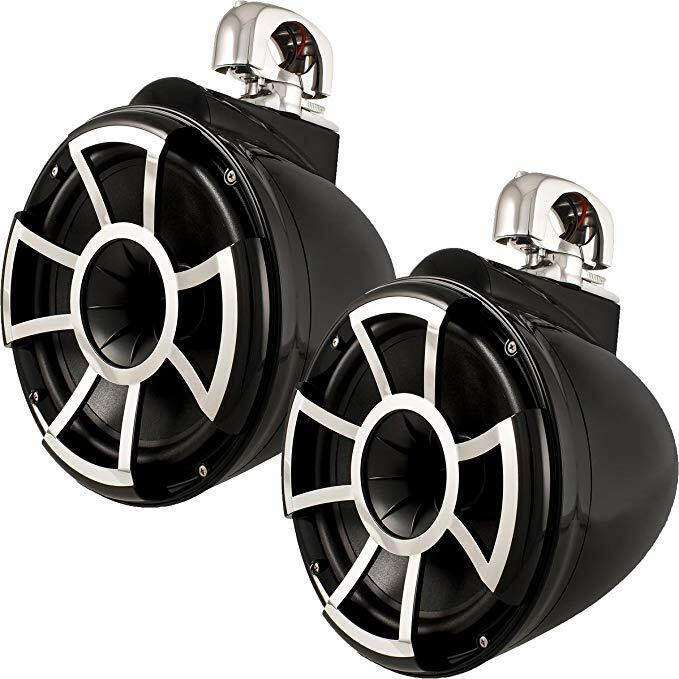 The revolution series 10-Inch HLCD best wakeboard tower speaker is uniquely designed with a black color to match the décor of a vast majority of vessels out there. 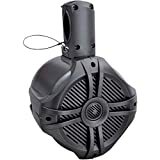 Apart from being waterproof, this speaker has superb audio capabilities having to be able to produce 60 Watts, 300 Watts RMS, and 4 OHM in each of the speakers. To make it durable, the speaker comes with a stainless steel casing to enable it to withstand any impact that may damage internal components. This list concludes with an iconic marine tower speaker that has fully considered all factors that constitute an impeccable marine tower speaker. With durability, audio quality and waterproofing, the MCM wakeboard tower speaker is the all-around perfect marine tower speaker for anyone in the market for one. In a nutshell, getting to choose the best marine tower speaker can be a daunting task. However, you should be keen to look for a speaker that best suits your needs at a given time.